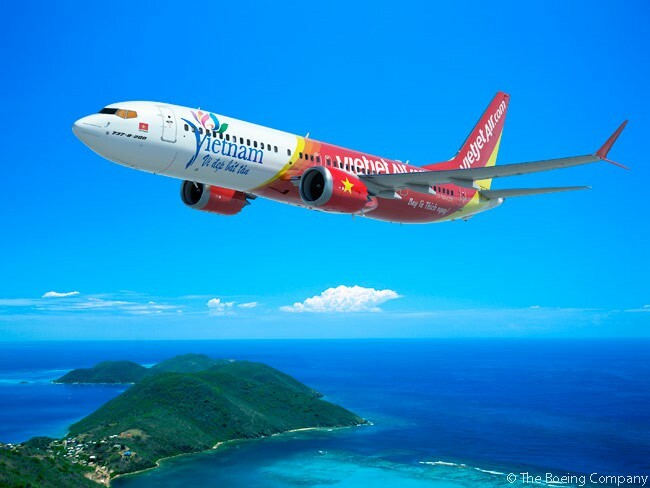 According to Boeing, Vietjet's order is the largest single purchase of commercial aircraft in Vietnam's history. VietJet Aviation Joint Stock Company, which trades as Vietjet, has finalized an order for 100 Boeing 737 MAX 200 aircraft. The President of the Socialist Republic of Vietnam, Trần Đại Quang, and U.S. President Barack Obama witnessed the signing of the agreement during President Obama’s official visit to Vietnam. Boeing values the Vietnamese low-cost airline’s order at approximately $11.3 billion at list price, suggesting the list price for the 737 MAX 200 is close to $113 million today. The signing, performed by Madam Nguyễn Thị Phương Thảo, Vietjet’s president and CEO, and Ray Conner, Boeing Commercial Airplanes’ president and CEO, took place at the Presidential Palace in Hanoi at approximately 11:40 a.m. local time on May 23. “Vietjet is efficiently operating a fleet of narrow body airplanes. Our investment in a fleet of 737 Max 200s will accommodate our strategy of growing Vietjet’s coming international route network including long haul flights,” said Nguyễn during the signing ceremony. “Through this agreement, Vietjet will contribute increasing bilateral trade turnover between Vietnam and the United States, as well as the integration and development of the aviation industry in Vietnam,‎” Nguyễn added. 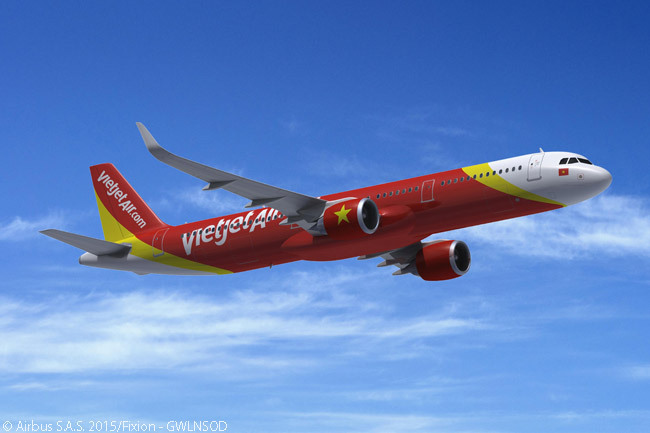 Vietjet will take delivery of its 100 737 MAX 200s from 2019 through 2023, supporting continuous growth of the carrier’s domestic and international networks in the region. The order will also help Vietjet to increase its fleet to more than 200 aircraft by the end 2023. To date, the Boeing 737 MAX family has accumulated firm orders for 3,098 aircraft from 65 customers. At present Vietjet operates 30 Airbus A320s and five A321s. It also holds outstanding orders and/or lease agreements for five A319s, 39 more A320s, 50 A320neos, 60 A321s and 30 A321neos. Vietjet also holds options on another 96 A320-family and A320neo-family aircraft, according to Wikipedia. 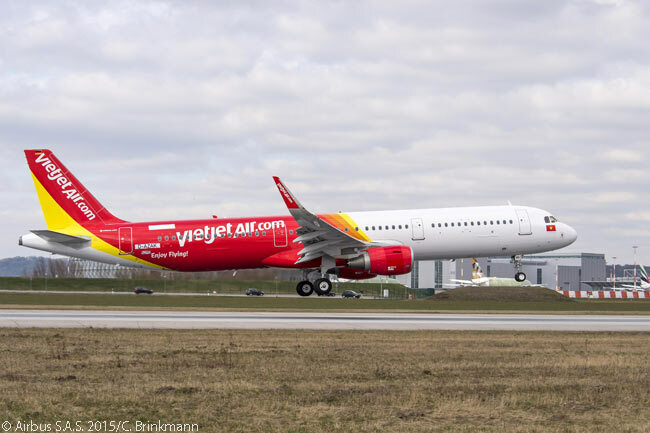 If Vietjet takes delivery of all these Airbus aircraft, its fleet is likely still to remain Airbus-dominated even after Viejet takes delivery of all of its 100 Boeing 737 MAX 200s. However, it is not clear yet if Vietjet’s Boeing purchase agreement include options for any additional 737 MAX jets. Today Vietjet operates more than 250 flights each day. It operates 50 routes in Vietnam and across the Asia-Pacific region to international destinations such as Thailand, Singapore, South Korea, Taiwan, China, Myanmar and Malaysia. Vietjet has carried approximately 25 million passengers to date. The airline plans to expand its Asia-Pacific network in the future.